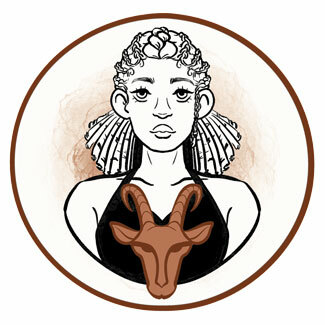 Just as the Sun in Capricorn starts to gain its true function, those born on December 24th meet their personal limitations and boundaries towards others and the outer world. This is a time of heritage and ancestral lineage, where one is to accept their past to turn to the future, and use any structure they’ve been given by taking full responsibility for the life they’ve been blessed with. This is a time of limiting outer and inner factors that need to be accepted with faith that the Universe has something special in plan for each and every one of us. Such acceptance brings them freedom as they touch reality and start choosing pathways that give them more. There is a strong link to both family's light and shadows, showing in lives of those born on the 24th of December. They are ambitious yet prepared to settle down, build a home, and start a family, and need to do so without actual settling in order to reach the point of inner peace and calm. They need meditation, rest and all sorts of breathing and relaxation techniques to truly make the best out of their lives instead of simply seeing walls in front of them as impossible to break or go around, staying stuck in one place for too long. They need time and patience, and once they give it to themselves, they will know how to provide others with it too. Their faith in something much bigger than us, humans, serves as the prerequisite for the happiness in the life they are about to build. "Three Rose Windows in a Gothic Church, One Damaged by War"
"A Human Soul in Its Eagerness for New Experiences, Seeks Embodiment"
There is a story of embracing bodily experiences in lives of those born on this date, as if their task is to come to terms with broken beauty, everything done wrong in the past, and turn to materialization of what truly inspires them today. Their ideas seek grounding, just as anyone else's, but their functional and productive nature prepares them for grand efforts and life achievements made out of seemingly nothing at all. Very often, they will turn poor and lacking circumstances into wealthy experiences and create incredible things out of an "empty cup". The purpose in lives of those born on the 24th of December is seen in the role of Neptune and the special calling of the Soul that is subtle, shining through personal talents, waiting to be seen in the fog of numerous convictions and outer influences. They are to find a dream to strive for, the inner source of inspiration that is as fragile as their authentic core gets to be, and however they show themselves to the rest of the world, they need to stay in touch with their tender, softest ideals and dreams. Tender emotions that those born on December 24th carry within aren’t always obvious and visible to those around them. They have a hard time connecting with another person, and when they fall in love deeply with recognition of souls thorough and honest, they are easily bruised, sensitive to each move and unpredictable choice of their partner. Their personal boundaries need to be set in place so they can truly dance in romantic involvements on a healthy fence of two whole personalities. The process of learning where they end, and where their partner begins lasts, and they will typically meet the right person to be with later in life. Their relationships often last long, even at a young age, but might be burdening and difficult as if the correlation of love and pain is a bit mixed up by family matters preceding them. When they find solitude, rest and a way to release the spasm in their body, they open their heart for romantic adventures that are a bit more childlike and honest towards their personal desires in life. They wish for a healthy, stable place to call home, and shouldn’t settle inside a tense relationship just to get one, by any cost. Their partner needs to be as reliable and as committed as they are, so that their hearts can interact in silent and joyous moments shared, and not fall in a rut or a routine that will take away the fun and the love out of their bond. A Capricorn born on the 24th of December is a stable manager, someone to blossom with age and lead the way through structured and a bit strict but just means. They excel in projects that need clear focus, dedication and long-term commitments, and won’t hesitate to build their career from the most modest position no matter their education or expertise. They give a lot and expect a lot, and need an authority figure to recognize their actual strength so they can truly blossom as structured authority figures themselves. They will protect policies of large systems, understand the law, and often end up in positions of high security clearance as nothing can penetrate their code of silence, when they build one. Scolecite is a good stone to aid spiritual evolution of those born on December 24th, helping with communication with guides from above and opening their heart for actual life's possibilities without imposed limitations. It is known to facilitate a state of deep inner peace and restful sleep, aiding them in receiving much needed rest that will give them a solid foundation of physiology for all their desired endeavors. The choice of birthday gift for someone born on December 24th should be extremely practical and beneficial through usefulness, rather than a trinket with humorous content. They will love a gadget for their home, something to keep them busy, training for a skill such as carpentry or working with clay. They love traditional gifts and habits, antiques and cups of warm chocolate each birthday morning, skiing trips reserved for this date, or religious routines that involve special activities for them, if this is their Christmas Eve as well. Trustworthy and stable, they are pillars of material support that endure in long-term battles and high achievements. Ambitious and wise, they move through successes step by step, rarely taking risks that will bruise their future. Planning too much, they become stiff and less confident, trying to hold on to outer structures and control instead of respecting their own inner needs. This makes them judgmental towards others and sometimes pushes them over the edge of psychological stability. In 1922 Ava Gardner was born, an American actress who starred in numerous movies since the 1940s, such as The Barefoot Contessa and Seven Days in May. She was first recognized by a talent scout when her sister's husband, a professional photographer, took her portrait and displayed it on the window of his studio. In 1959 Lee Daniels was born, an American director and television writer, who directed Precious and the series Empire. He began his career as a receptionist at a nursing agency, soon realizing that he can cast actors using his skills from "casting nurses". In 1971 Ricky Martin was born, a Puerto Rican American singer and actor, regarded as the king of Latin pop who rose to fame with a hit "Livin’ la Vida Loca" in 1999. He stated that whenever he is in front of the audience he feels the energy that consumed him at family gatherings of his youth. 1777 – James Cook (born on November 7th) discovers Kiritimati, also known as the Christmas Island. 1818 – "Silent Night" is performed for the first time in Oberndorf, Austria. 1851 – Burning of the Library of Congress in Washington, D. C.
1865 – Ku Klux Klan is formed. 1906 – The first radio broadcast takes place with a poetry reading, a speech and a violin solo. 1968 – The orbit around the Moon is entered by the crew of Apollo 8, the first humans to get there. 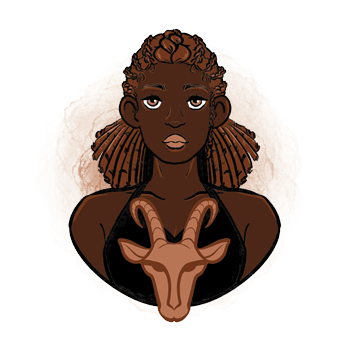 Capricorn - traits, personality, dates, characteristics and astrological sign information.